C.A. 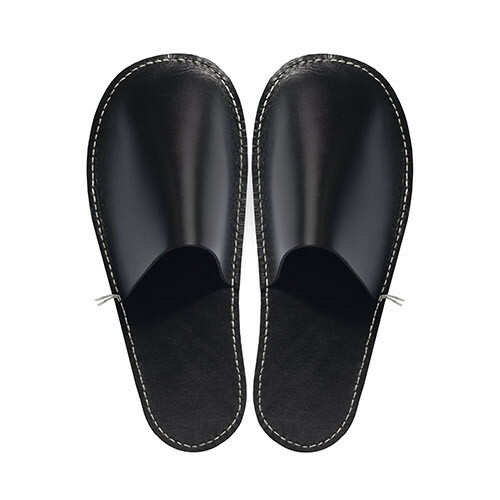 Lindberg, leather slippers – black || Design: Kristina Stark. One sole, one upper part, one seam and one knot. Neither more nor less. The slippers are made by hand and each one is slightly different and unique. Handcrafted slippers, for indoor use, in naturally veg-tanned high quality leather from Tärnsjö Garveri. The slippers are handmade in Sweden, are packaged and come in a textile bag.